Which Campgrounds in Wisconsin do you operate? Wisconsin fishing opener is two weeks from tomorrow. Good luck! Well, that's the way in rural communities; they don't see the big picture. It's almost rude of you to point out how much they're in denial. DAMN them Wisconsonites pulling sleds and sleighs with their SUVs! Yeah, it's been in the mid 50s down here in Florida. At mid-day. In APRIL. The media ignores it, of course. If it were in the mid 90s they'd be screaming "AGW!! AGW!!" I still say this sort of post is below you. Just because the other guy uses these kinds of short term, statistically irrelevant arguments, doesn't mean it is okay - even as a joke. Easy there hoss. 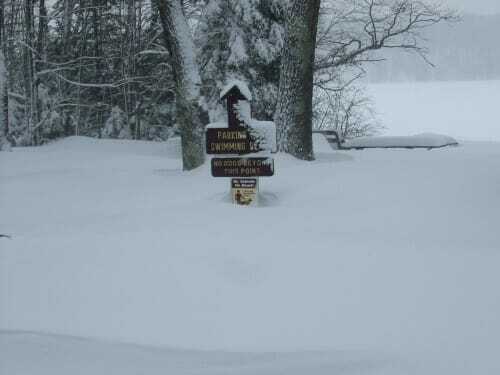 Many of us use state park campgrounds in those conditions!!!!! !